Home / Food / Are you sure that the water you drink is safe? Are you sure that the water you drink is safe? A report of March 2014 shows that India has been able to achieve 91 percent coverage in improved water supplies so that consumers can have safe drinking water. However, at a recent meeting of the Central Consumer Protection Council (CCPC),Union Minister for Consumer Affairs Ram Vilas Paswan stated that “the water supplied by the Delhi Jal Board (DJB) is not safe for consumption as prescribed quality standards are not being met”. If this is the state of water in the capital of the nation then what must be the situation in other parts of the country. The very fact that private water purifying companies do a brisk business of selling all kinds of water purifying filters to homeowners all over India adds credence to the statement of the minister, that tap water is not safe to drink. A World Resources report states that more than 70 percent of India’s water supply is contaminated. The main sources of water contaminants are basically animal and human faeces, improper use of chemicals, pesticides and fertilizers and floods that happen almost every year also contaminates water. India has not yet been able to manage the disposal of faeces in a safe manner and hence the water supply gets contaminated with pathogens that cause diarrheal diseases, typhoid, jaundice, cholera, etc. A United Nations report states that in India more than one lakh people die of water-borne diseases annually. The ground water in India is not fit for drinking because it contains fluoride, arsenic and iron in amounts above tolerance levels and in coastal regions water has become brackish because of drilling deeper for agricultural purposes allowing seawater to invade it. As a result of some of these contaminantsmillions of people are suffering from fluorosis and others from arsenicosis caused by arsenic, especially in rural West Bengal. The United Nations report places India almost at the bottom of the list of countries supplying water that is poor in quality. However, the poorer populations living in rural India have great faith in public water system and the common public that lives in urban India is unaware of the quality of their drinking water. The Union Minister for Consumer Affairs, Ram Vilas Paswanis right when he categorically states that the drinking water in Delhi is not consumable.If the “treated” water supplied by theJalNigams of the various citieswere to be tested for contamination you would find that contaminants are above the accepted levels.Voicing his concerns about providing safe and pure water to consumers the Minister, even went so far as to say that the Food Safety and Standards Authority of India (FSSAI) should formulate regulations for water being supplied through the pipeline and also monitor the quality. Presently FSSAI does not have regulations for piped water but has issued guidelines for FBOs on Packaged Drinking Water. In order to run a packaged water plant valid licenses are required from the Bureau of Indian Standards (BIS) and the Food Safety & Standards Authority of India (FSSAI). The BIS has in total 21 Major Policy Guidelines on Certification of Packaged Drinking Water and Packaged Natural Mineral Water. Importantly, packaged drinking water needs to conform to guidelines issued by both the FSSAI and BIS. 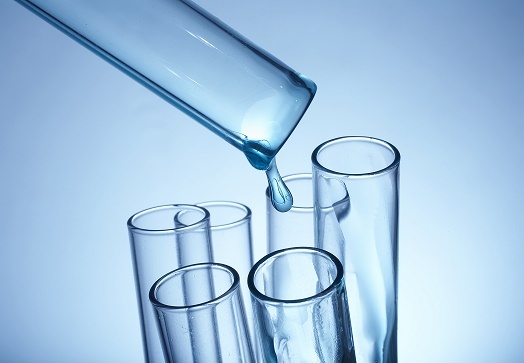 A valid water testing report from an FSSAI notified and NABL accredited laboratory is one of the most important documents without which no license can be given for running a packaged water plant. Ironically a random survey conducted by the Food and Drug Administration (FDA) indicated that packaged drinking water may not be as safe as consumers think. On an all India basis when packaged water samples were tested then more than 800 samples failed the quality test. Some of the plants that were checked by FDA did not have laboratories to check water potability and many did not have water testing reports from any accredited labs to sustain their claims. In India, people suffer because regulations are weak or not applied strictly and their awareness of their rights to safe water supply is low. Even if people are aware that the water supply is unsafe there is nothing they can do except use their own private water filters or boil their water because the water supplied by municipalities could be dangerous for health. In fact there are a number of consumers that believe that packaged drinking water is safer. “Packaged Drinking Water” has therefore flooded the Indian market in recent years but all of it might not be safe as already stated. Remember that bottled drinking water without BIS certification is not safe to drink.Union Minister for Consumer Affairs, Ram Vilas Paswan has also drawn the attention of consumers to the fact that packaged water cannot be charged above maximum retail price (MRP) as there seems to be a tendency to charge higher rates for packaged drinking water at hotels, restaurants, cinema halls, railway stations, bus stops and at airports. He has asked consumers to file a complaint if the packaged drinking water is being sold at prices higher than MRP. Another common mistake consumers make is that they think that“packaged drinking water” and “mineral water” is both the same thing. They could not be more wrong because these are both different types of water since they come from different sources and bothhave different standards for purification of the water. One is “Packaged Drinking Water” and the other is “Packaged Natural Mineral Water”. The source of ‘Packaged Natural Mineral Water’ is natural because it has been obtained directly from lakes, rivers or drilled from underground water-bearing strata, spring water and is free fromcontaminants. Since it is packaged close to the source it is also therefore more expensive. “Packaged Drinking Water” on the other hand is obtained from potable water in taps, ground water like bore-well, and public drinking water systems such as municipality supply.This type of water is treated,demineralised and disinfected so it is safe to drink and it could also contain artificially added minerals. Packaged drinking water is tested more extensively for impurities and for chemical contaminants, pesticide residues, heavy metals, etc. Article 47 in the Constitution of India confers the duty of providing clean drinking water and improving public health standards on the government. A paper published by ‘Water Aid’ says that despite an estimated total of Rs.1105 billion spent on providing safe drinking water since the First Five Year Plan was launched in 1951, lack of safe and secure drinking water continues to be a major hurdle and a national economic burden. It seems that managing safe water supply with continued pressure on the ground water level and the appearance of new contaminants like persistent organic pollutants (POPs) will remain a challenge for India and unless there are more stringent measures, the consumer could continue to drink piped water that is unsafe.